What Does Code P0735 Mean? Gear ratios allow vehicles to achieve high speeds and climb steep mountains. When referring to the transmission, the gear ratio is the difference between input speed and output speed. 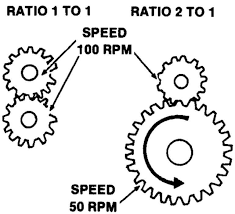 So, if the input speed is 2 rpm and the output speed is 4 rpm the gear ratio would be 2:1 (said: 2 to 1). These gear ratios are the gears in your transmission. Same principal that is in a bicycle, gear ratios allow you get up steep hills with minimal force and achieve high speed with minimal force . In the code itself, it state the error is in 1st. They are referring to the 1st gear of the transmission. Often times, there are speed sensors at the input and output of the transmission. The ECM uses these sensors, to compare speeds and insure accurate gear ratio is present in 1st gear. Once the ECM determines the gear ratio to be outside of specified valued, it illuminates the check engine light in the dash accompanied with this code. What are the common causes of code P0735 ? What are the symptoms of code P0735 ? How do you troubleshoot code P0735 ? Insure there are no other transmission codes present. Depending on the code, you may need to address these first. (i.e Pressure codes). Refer to service manual for codes that would be priority. You will want to start by checking the transmission oil level. This procedure may vary between manufacturers. Some vehicles aren’t even equipped with a dipstick. If it is equipped with a dipstick, test drive vehicle to bring up to operating temperature and park vehicle on level surface to insure a accurate level reading. Leave engine running and place transmission in PARK. Remove dipstick and wipe off fluid. Go ahead and put dipstick in tube fully and remove again. Level should be between checkered marks or F and L marks. Again This varies heavily on make and model. If you find level low or dirty, these very well may be causing your issue. 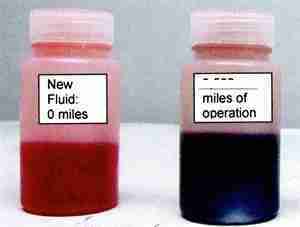 Top up or flush fluid if need be. If symptoms or code reappears, proceed to next step. NOTE: Inspect transmission oil pan for signs of denting/damage. Check oil pressure. Using a oil pressure gauge, test the transmission oil pressure. 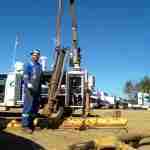 Most times, transmission lines will have test ports installed from the factory. Sometimes there may be two ports depending on the systems. Make sure to use the transmission pressure test port. Connect gauge to the test port and start vehicle. Ensure there are no leaks at connection(s)! Refer to service manual for oil pressure specifications for every gear. If pressures are within desired values, proceed to next step. If they are not, you are losing pressure somewhere. This may be internal or external. Check speed sensors. Unplug the transmission speed sensors. Using multimeter you will need to test resistance values within the sensor (refer to service manual for specifications). If values aren’t within specifications, replace sensor(s) and clear codes. if they are, proceed. Check circuits. Refer to service manual to identify wires involved in speed sensor circuits. Using multimeter check for continuity, shorts and open in the wires involved. This will include the ECM connector so make sure battery is disconnected before testing. Repair any problems in the circuit and clear codes. If code reappears, proceed. Check your TCM Transmission control module. Depending on manufacturer, you may be able to test the TCM by back probing the connector and measuring electrical values to ensure it is functioning as it should. Refer to service manual for procedures and specifications! If you haven’t found anything at this point, you may have an intermittent problem or internal issue within transmission. 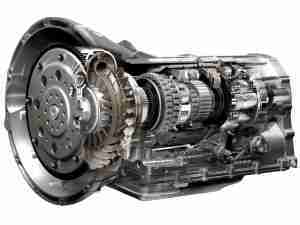 Bring to transmission repair facility to get most accurate diagnosis. None found. Ask a question about P0735.